Common Sense Garden designs are inspired by permaculture design principles that focus on the relationship between people, places, and plants. 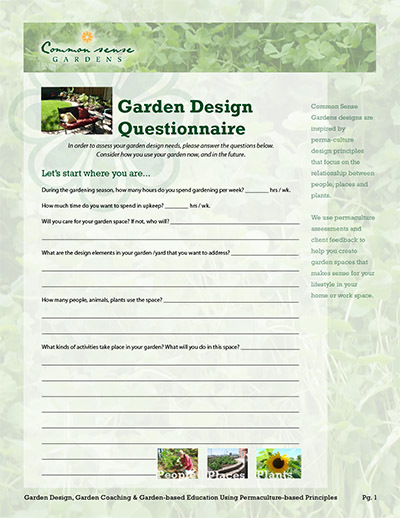 We use permaculture assessments and client feedback to help you create garden spaces that make sense for your lifestyle at your home or workspace. The design process includes client education, place-based design (using native, ornamental and mixed plant guilds) and site-specific remedies that result in a unique landscaping experience. See the portfolio of projects to learn more about specific projects completed over the past few years! 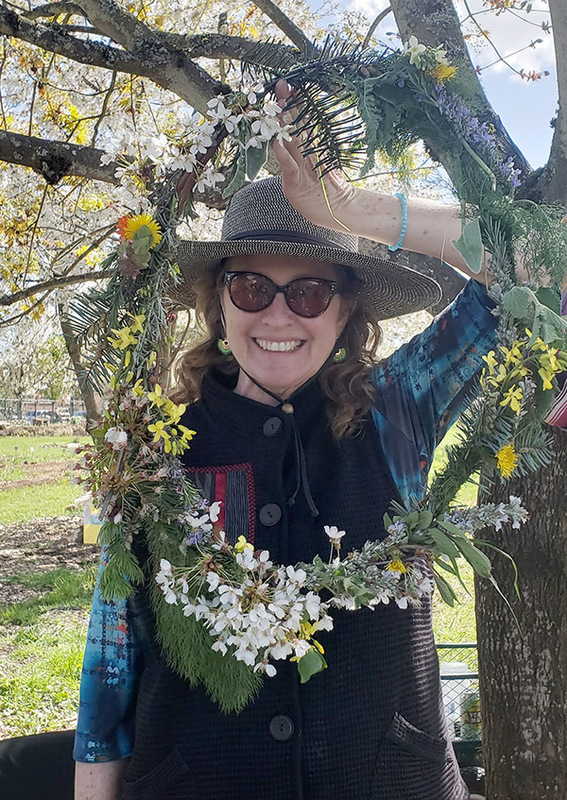 As a garden designer, garden coach and educator, my focus is on sustainability in education, landscapes (both ornamental and edible), and community food systems. In each of these roles, I bring the knowledge and skills gained over many years of practical and academic experience. In addition, I bring an understanding of the need for diversity in our environment and in our communities. I am motivated by the ethical and social responsibility for creating livable and environmentally safe places to reside, learn and play in. For further information or questions: Contact denissiae@gmail.com.